7. Rajini Rao, Hari Prasad. 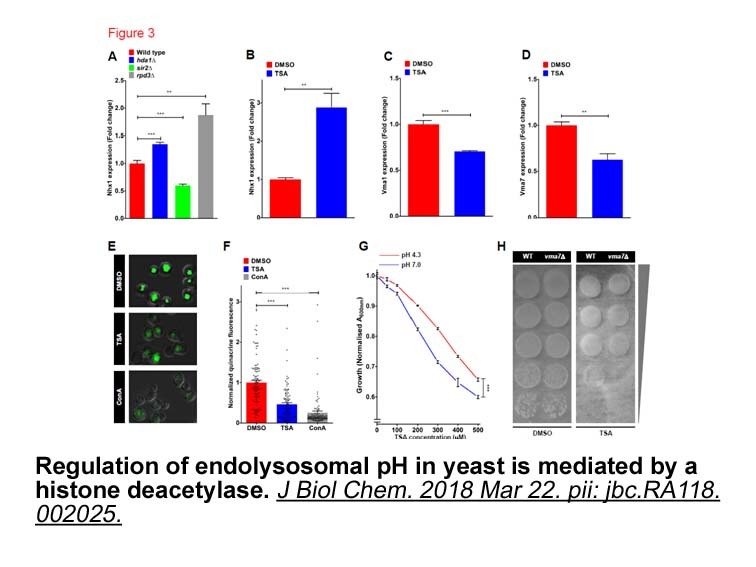 "A conserved mechanism for regulation of endo-lysosomal pH by histone deacetylases." bioRxiv. 2018 January 22. TSA inhibited proliferation of eight breast carcinoma cell lines with mean ± SD IC50 of 124.4 ± 120.4 nM (range, 26.4–308.1 nM). 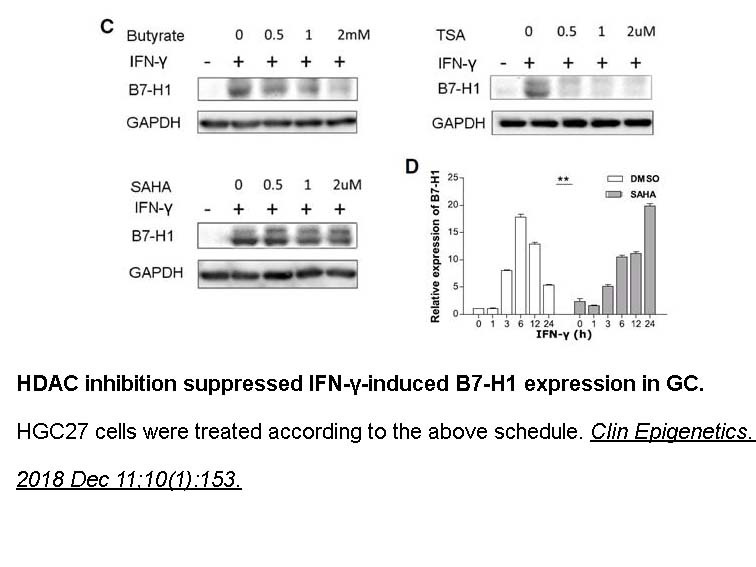 TSA treatment resulted in pronounced histone H4 hyperacetylation. TSA had pronounced antitumor activity in vivo. 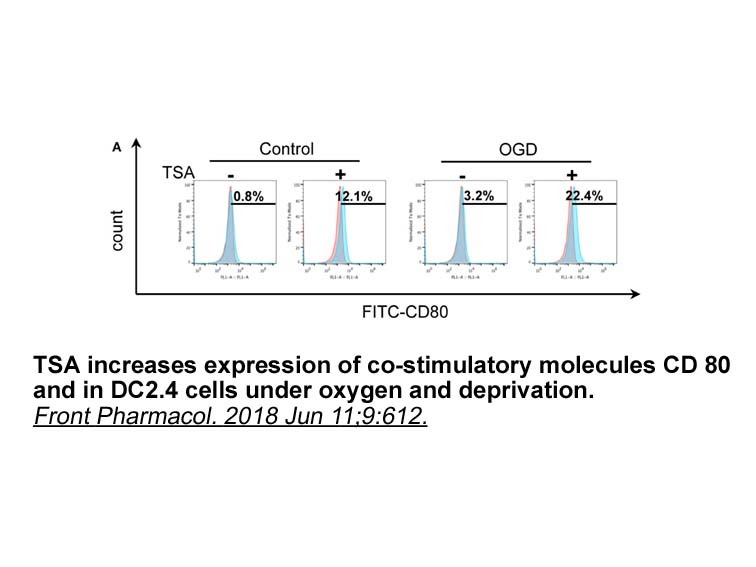 that The antitumor activity of TSA attributabled to induction of differentiation. 1. 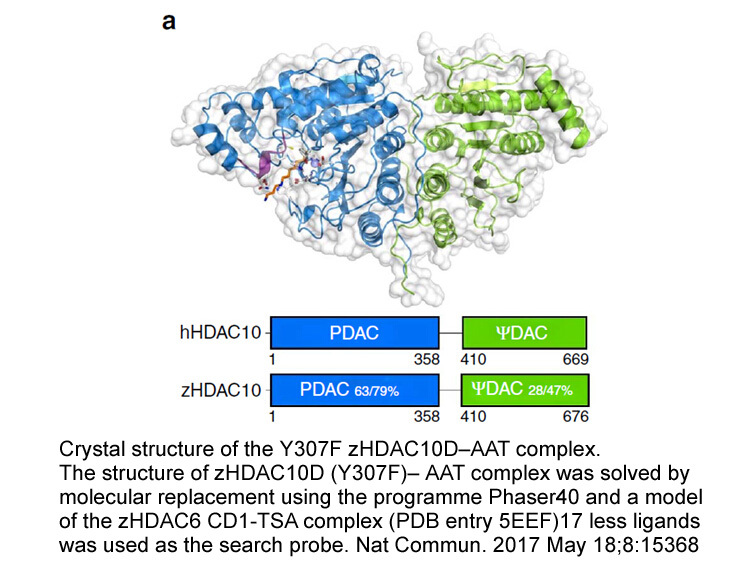 Vigushin DM1, Ali S, Pace PE et al. 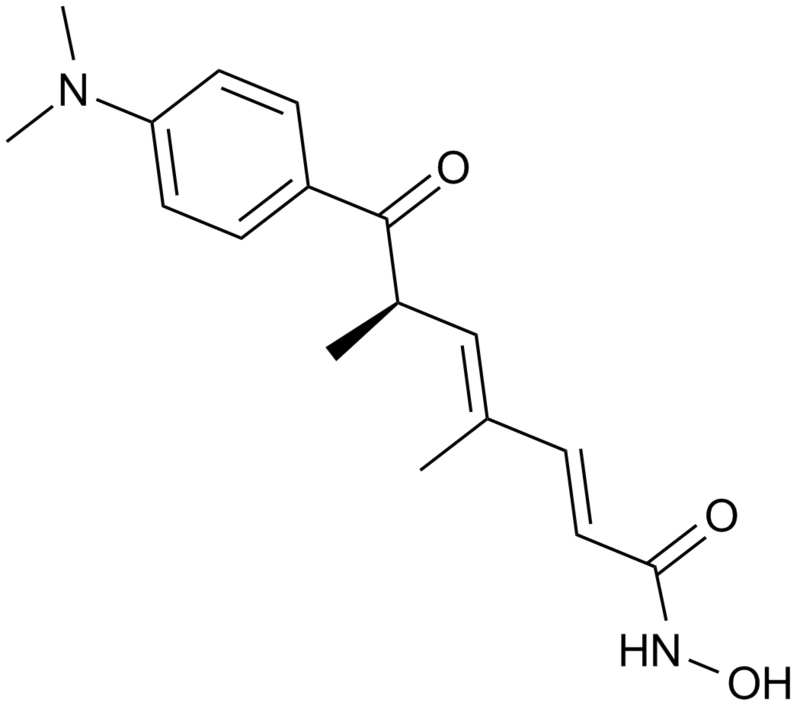 Trichostatin A is a histone deacetylase inhibitor with potent antitumor activity against breast cancer in vivo. Clin Cancer Res. 2001 Apr;7(4):971-6. 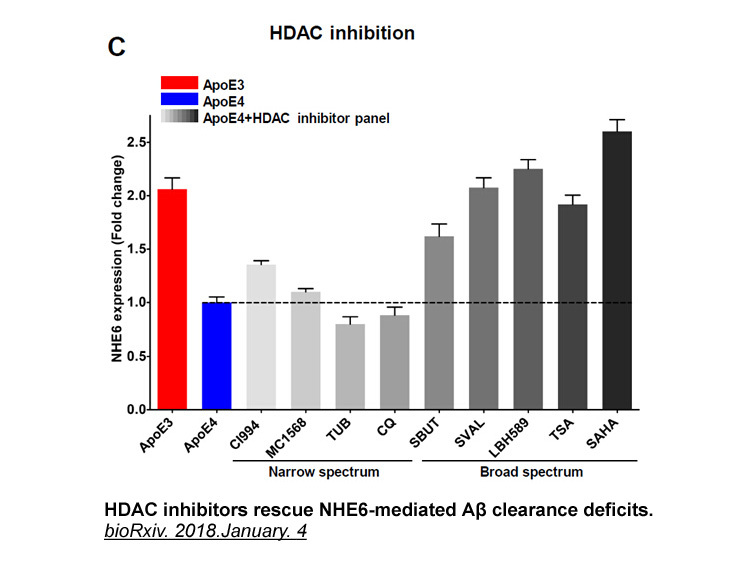 Trichostatin A (TSA) is a potent inhibitor of histone deacetylase (HDAC) as well as an antifungal antibiotic with cytostatic and differentiating properties that noncompetivively and reversibly inhibits HDAC, at low nanomolar concentrations, in both cultured mammalian cells and fractionated cell nuclear extracts. It is capable of arresting cells in G1 and G2 phases of the cell cycle, inducing differentiation and reverting the transformed morphology of cells in culture. 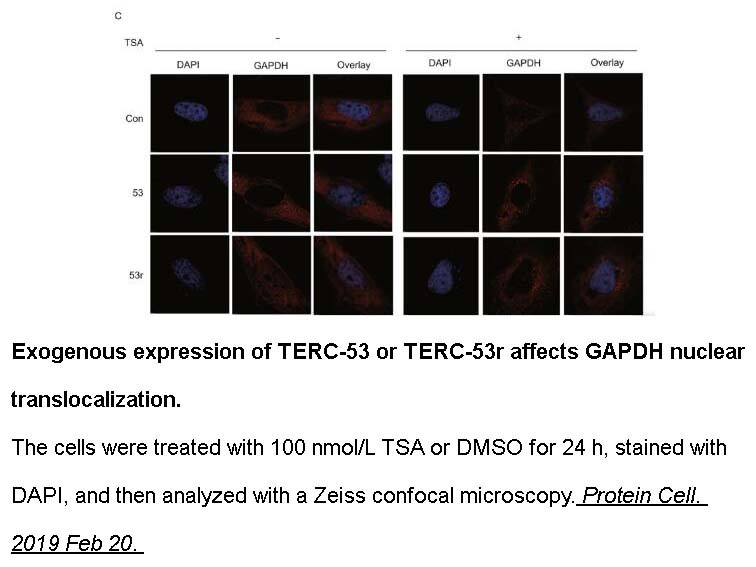 According to a study investigating the effect of TSA in human breast cancer cell lines, TSA inhibited proliferation of breast carcinoma cell lines (IC50 124.4 ± 120.4 nM), comparing to all cell lines (IC50 2.4 ± 0.5 nM), and resulted in pronounced histone H4 hyperacetylation.